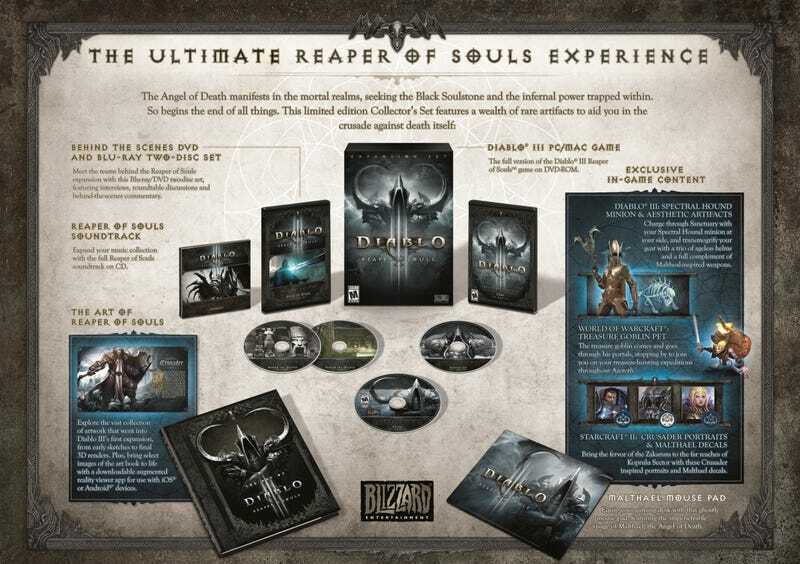 A look inside the $80 Diablo III: Reaper of Souls collector&#39;s edition, aka the big box special. A look inside the $80 Diablo III: Reaper of Souls collector's edition, aka the big box special. It's everything in the $60 digital deluxe version, plus circular pieces of plastic, a square of colorful cloth-covered gel, and a hardbound art book that makes the whole thing worthwhile-ish.